The things you learn when finally, you decide on going down a certain path. 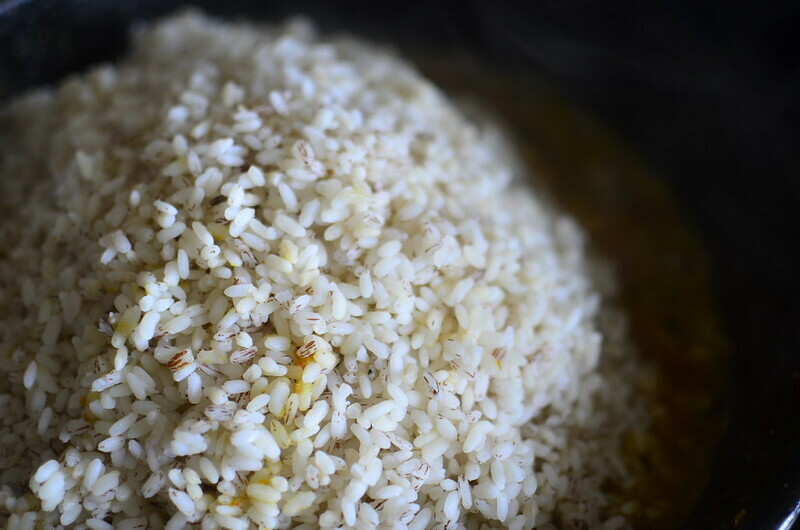 That yes, you know Ofada rice is fermented as part of its processing, as part of what makes it highly sought after but you do not think it stinks to the high heavens. 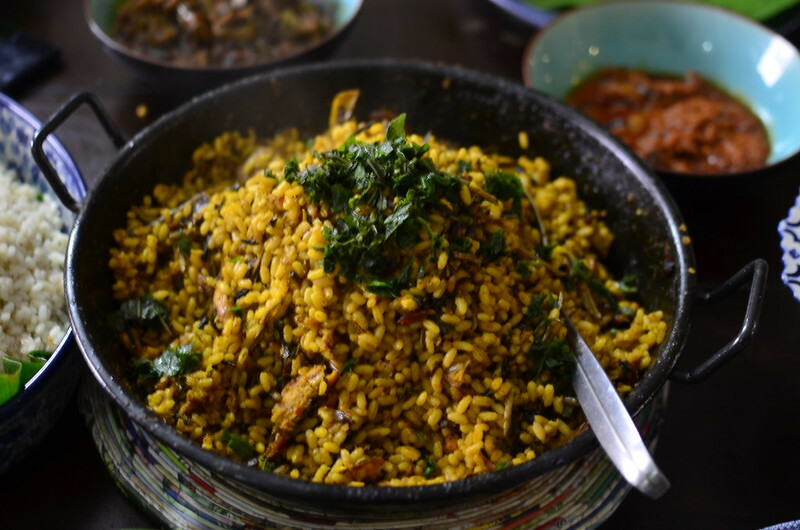 You did not know that it had a pungence thicker, more pungent than ogiri, the smelliest thing you’ve smelled, tasted, up there with your stinkiest blue cheese. But that the smell will do nothing to the taste. Will not deter, off-put, prevent pure pleasure from being had when you’re done cooking. 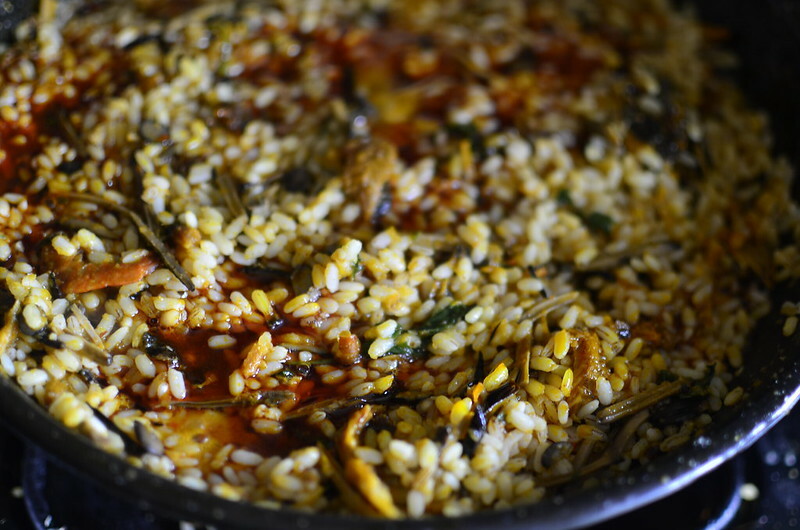 I woke up one morning and decided I wanted to appropriate the chewy textures of Ugba in my rice. 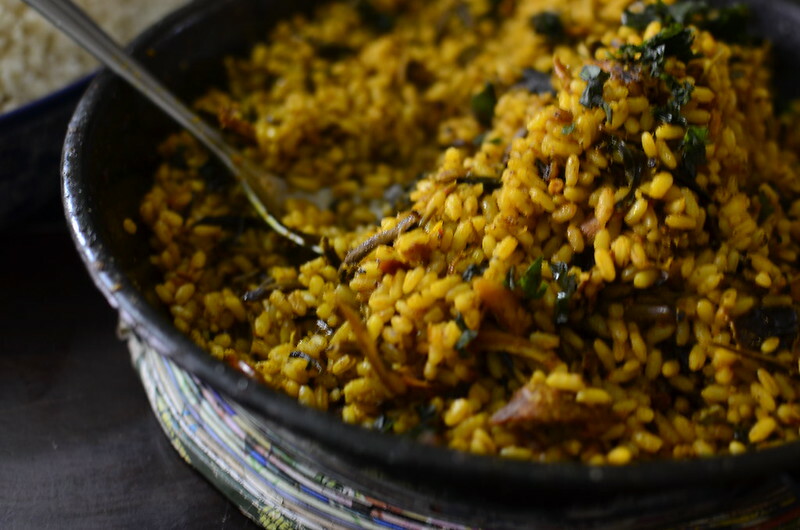 That I needed to make local Jollof, that I needed to invoke, implore,adore the gods of Fermentation because this dish would be a triple tribute to them. 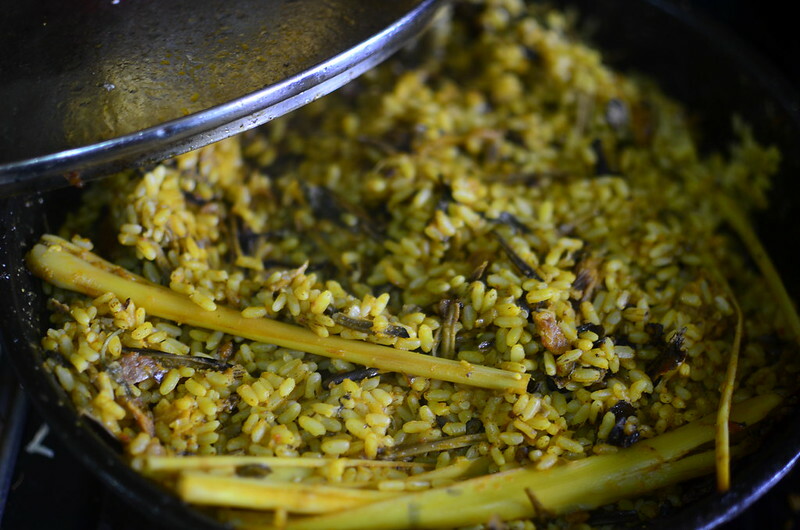 With Iru – Fermented locust beans; With Ugba – Fermented oil bean, shredded; With Ofada – Fermented rice. 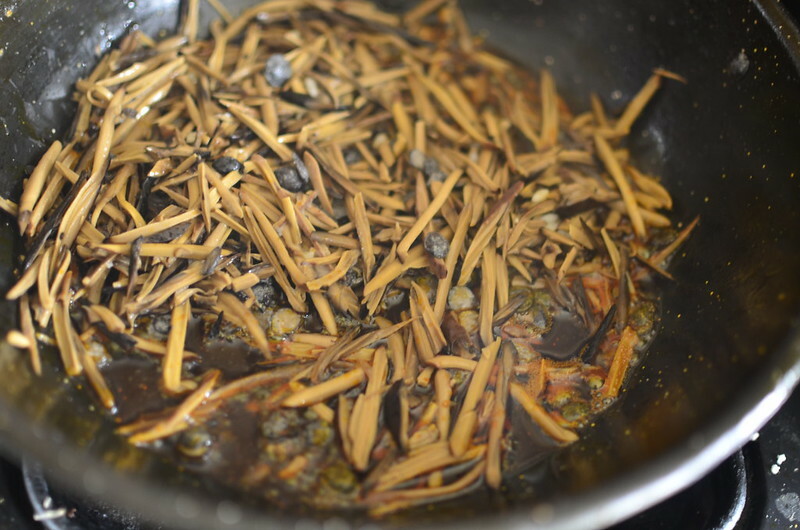 Heat up some palm oil – a couple of tablespoons. 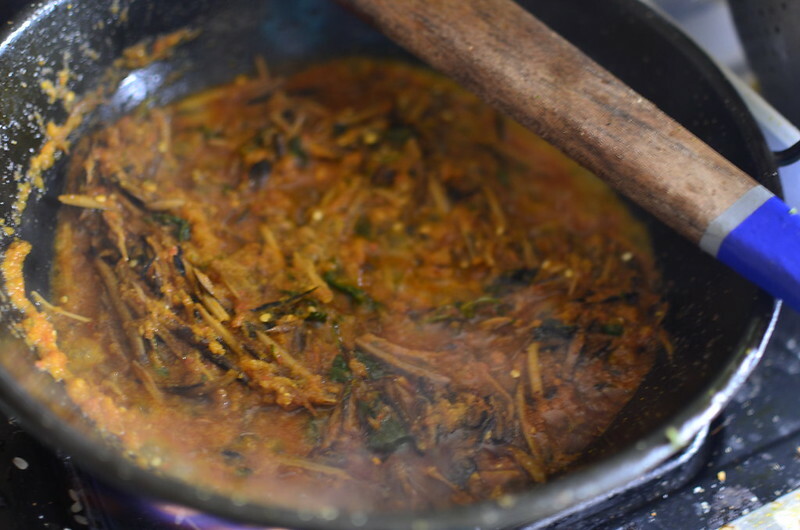 Don’t let it smoke, ‘bleach’ – add the ugba and iru. 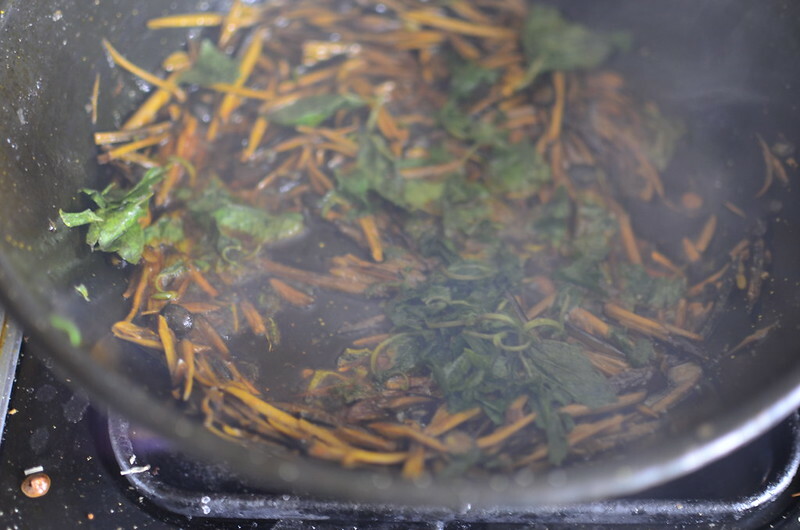 Follow with scent leaves, rubbed between your palms till soft and ‘shredded’. Next in? A blend of onions and chilies – no tomatoes. Along with ground crayfish and chunks of dried fish. 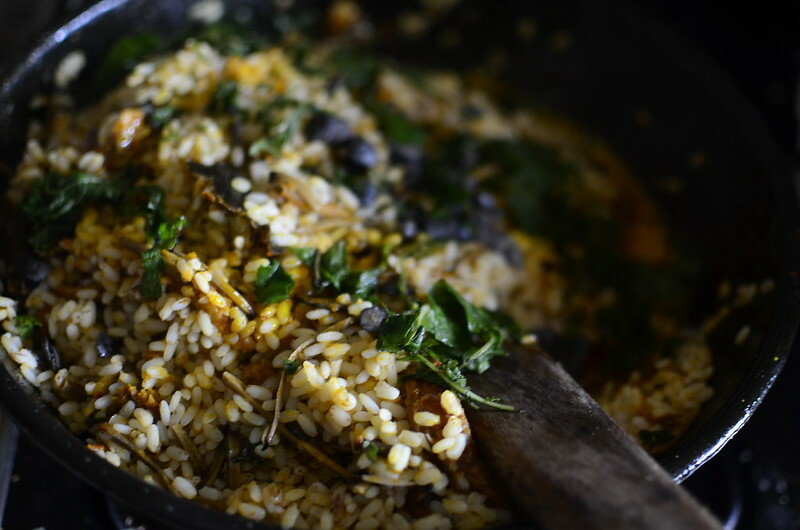 Allow cook for a few minutes to blunt the raw edges, then add parcooked Ofada rice. And a few more scent leaves. Check for seasoning – salt, pepper, crayfish and adjust accordingly. At this stage, I wanted a richer colour so I drizzled in some more palm oil, as well as added some meat stock. And added some bruised lemon grass roots. Then I let cook, with the lid on very low heat so it could ‘steam’ and each grain would be infused with rich flavour. Once cooked, I set on high heat to ‘create some smoky flavour‘. To serve, I finished with more scent leaves and a variety of sides – fried plantains, Ayamashe aka designer stew and sauteed greens.